Start off your visit on the 16th (Thu): explore the ancient world of Temple of Athena, admire the landmark architecture of Il Tempio di Nettuno o Poseidone o di Hera II, and then delve into the distant past at Paestum Ruins. Keep things going the next day: get to know the fascinating history of Le Mura, then enjoy the sand and surf at Lido Militare Paestum, then take in the spiritual surroundings of Parrocchia Ss. Annunziata, and finally explore the galleries of Museo Archeologico Nazionale di Paestum. To see traveler tips, where to stay, reviews, and other tourist information, read our Paestum trip planner . Curitiba, Brazil to Paestum is an approximately 23-hour flight. Traveling from Curitiba to Paestum, you'll lose 4 hours due to the time zone difference. Plan for a bit warmer nights when traveling from Curitiba in May since evenings lows in Paestum dip to 21°C. Wrap up your sightseeing on the 17th (Fri) early enough to drive to Matera. Famous for its resemblance to the ancient settlements of Jerusalem and Cappadocia, Matera remains one of the oldest inhabited cities in the world. Visit Sassi di Matera and Sasso Barisano for their historical value. Your cultural itinerary includes sights like Museo Laboratorio della Civilta Contadina and Massimo Casiello - Tornitura Artistica del Legno. Get out of town with these interesting Matera side-trips: Spiagge Le Praie (in Praiano) and MEC - Emotional Museum of Craco (in Craco). There's still lots to do: explore the ancient world of Materasum Ipogeo, appreciate the extensive heritage of Via Ridola, steep yourself in history at Casa Cisterna Sotterranea, and examine the collection at Sassi in Miniatura. To see other places to visit, more things to do, maps, and tourist information, read Matera online sightseeing planner . Traveling by car from Paestum to Matera takes 3 hours. Alternatively, you can take a train; or do a combination of train and bus. Plan for little chillier nights when traveling from Paestum in May since evenings lows in Matera dip to 13°C. Cap off your sightseeing on the 20th (Mon) early enough to go by car to Positano. Let the collections at Sol’Art Ceramiche and Ceramiche d'Arte Carmela capture your imagination. Get a sense of the local culture at Duomo di Ravello and Villa Cimbrone Gardens. Venture out of the city with trips to Ravello (Ceramiche D'Arte Pascal, Villa Rufolo, & more), Parrocchia San Giovanni (in Vietri sul Mare) and Castiglione (Spiaggia di castiglione & Lido di Ravello). There's still lots to do: enjoy the sand and surf at Fornillo, tour the pleasant surroundings at Bagni d'Arienzo, brush up on your knowledge of spirits at Il Gusto della Costa, and pause for some serene contemplation at Duomo di Sant'Andrea. To find photos, other places to visit, and other tourist information, you can read our Positano trip itinerary maker tool . Traveling by car from Matera to Positano takes 3.5 hours. Alternatively, you can do a combination of train and taxi; or do a combination of bus and subway. Traveling from Matera in May, plan for a bit warmer nights in Positano, with lows around 18°C. Finish your sightseeing early on the 25th (Sat) to allow enough time to drive to Naples. Naples is the capital of the Italian region Campania and the third-largest municipality in Italy after Rome and Milan. 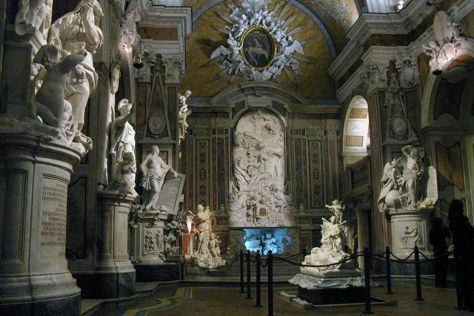 Museum-lovers will get to explore Museo Cappella Sansevero and Chiesa dei Santi Filippo e Giacomo - Complesso Museale dell'Arte della Seta. Visit Gli Scavi Archeologici di Pompei and Ruins of Herculaneum for their historical value. There's much more to do: brush up on your military savvy at Galleria Borbonica, take in the architecture and atmosphere at Cloister of Santa Chiara, explore the world behind art at Museo Nazionale di Capodimonte, and stroll the grounds of Catacombe di San Gennaro. For maps, other places to visit, traveler tips, and tourist information, go to the Naples trip planner . You can drive from Positano to Naples in 1.5 hours. Alternatively, you can take a bus; or do a combination of bus and subway. In May, daytime highs in Naples are 27°C, while nighttime lows are 17°C. Wrap up your sightseeing on the 29th (Wed) to allow time to travel back home.